Growing in the garden. What is it? What is this growing in my yard? Looks like a stinkhorn fungus. I think I see a stinkhorn mushroom. Where’s the spider? 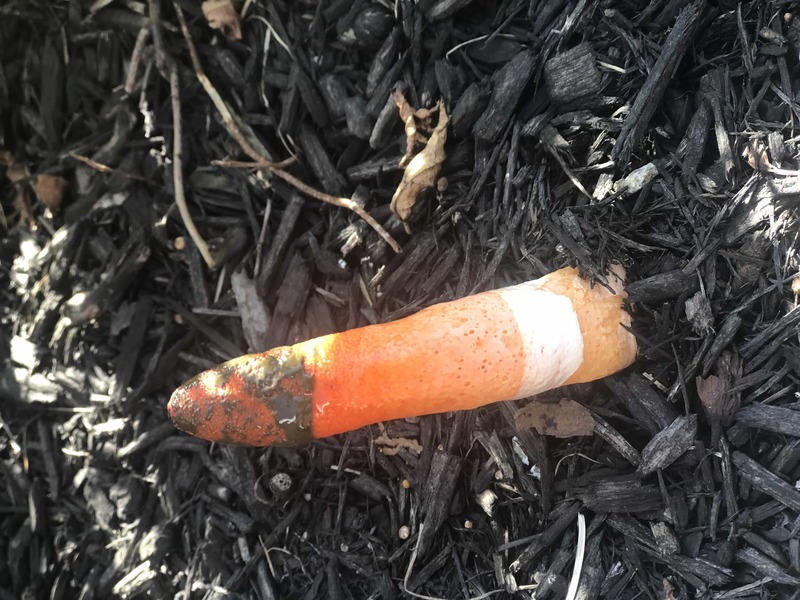 BTW, avoid stepping on stinkhorn fungi in the same way you would avoid stepping on feces in sunlight or a rotting dead animal. The smell stays with your shoes longer than those obvious things. And it can smell like a combo of rotting corpse plus poop. Take it from my own experience hunting mushrooms. I dedicated a pair of shoes for that after it was too late to wear them in public anymore.